As you prepare for what’s next. Balise Nissan of West Springfield and Nissan Motor Acceptance Corporation (NMAC) make the process easy for you. You will be contacted as the end of your lease approaches. NMAC sends out letters prior to the end of your lease. The letters outline your options (see below) and include a wear-and-use guidebook. Of course we would like for you to lease or buy a new Nissan, however, you have three (3) options once you fulfill your lease obligations. Read through your options below. Visit our new vehicle inventory for information on all of Nissan’s new vehicles. Before your lease expires, contact the Nissan Lease Customer Network at (800) 778-4211 between 9 a.m. and 7 p.m. Eastern Time to set up a complimentary vehicle inspection. This inspection may help you avoid a wear-and-use charge for items that may be covered by your insurance policy (such as a damaged windshield). And it will help you decide what to do with your leased vehicle. This inspection takes approximately 30 minutes, and can be done at your Nissan Dealer, your home, or your place of business. It will be performed using a laptop computer, and the results will be printed immediately after the inspection. The inspector will review the report with you and address your questions. You will be given a copy of the condition report. A second copy will be left in your vehicle, and should remain in the vehicle until the time of return. Balise and NMAC want to make it easy for you to buy or lease another Nissan. That’s why we reward our current customers with incentives to purchase or lease a new Nissan. We’ll waive wear and use charges. When you lease or purchase a new Nissan, we will waive up to $500 of excess wear-and-use liability on your current NMAC lease. *Offer good from 120 days prior to or 30 days after customer’s termination of lease. The registered owner’s name of the currently leased Nissan must be the same as the registered owner of the new Nissan or held in joint ownership. Customer must satisfy all obligations to NMAC in accordance with their current lease agreement. The excess-wear-and-use waiver does not apply to excess mileage fees. See dealer for details. If you decide to return your Nissan, we’ll make the process as easy as possible. Before your vehicle’s return date, contact the Nissan Lease Customer Network at (800) 778-4211 between 9 a.m. and 7 p.m., Eastern Time, to schedule a complimentary vehicle inspection. This inspection takes approximately 30 minutes, and can be done at your Nissan Dealer, your home, or your place of business. It will be performed using a laptop computer, and the results will be printed immediately after the inspection. The inspector will review the report with you and address your questions. You will be given a copy of the condition report. A second copy will be left in your vehicle, and should remain in the vehicle until the time of return. Should your vehicle’s condition change prior to its return due to repairs or additional damage, another inspection will be necessary. To schedule your reinspection, please call the Nissan Lease Customer Network. Prior to your lease maturity date, call Balise Nissan for an appointment to return your vehicle. – Complete a Federal Odometer/Lease Termination Statement at Balise Nissan. 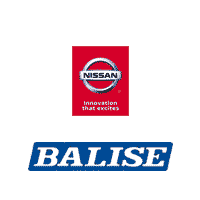 – Sign and date the Vehicle Condition Report, which will be completed by Balise Nissan. This report compares the current condition of your vehicle to that of the original inspection report to ensure that nothing has changed. Call the Nissan Lease Customer Network to report the return of the vehicle to an authorized Nissan Dealer. To learn more about the vehicle inspection process (including conducting your own inspection) and to see examples of Normal and Excess Wear and Use, please call or visit us in person. *Lease contracts dated on/after January 6, 2009 are subject to a disposition fee at time of contract termination, if applicable.